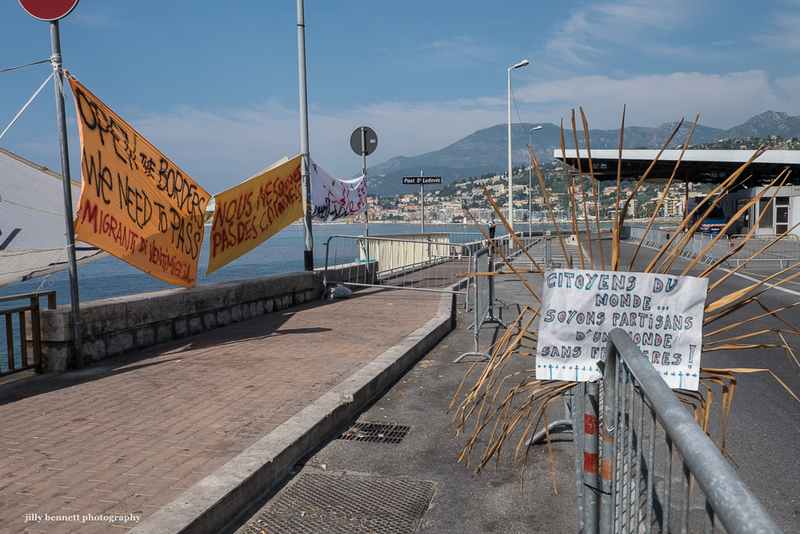 This is the border between Menton and Italy, a policeman patrols in the distance - the African migrants sleep on the rocks to the left. C'est la frontière entre Menton et l'Italie, un policier patrouille au loin - les migrants africains dorment sur les rochers à gauche. I would think the border is pretty porous, immigrants who want to cross to France from Italy could easily find a way to do it. Precarious for them, at any rate.